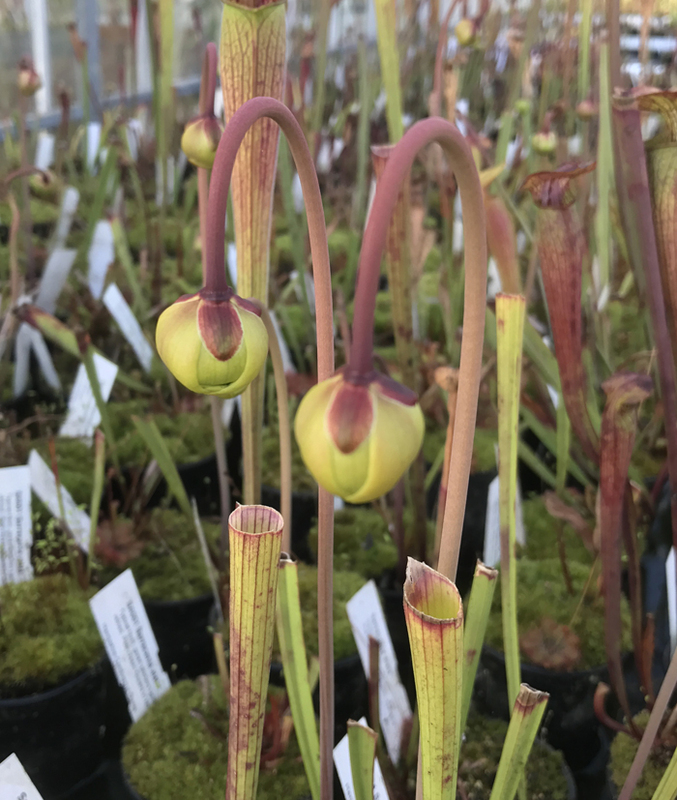 Hampshire Carnivorous Plants Blog | Spring has sprung! You are here: Home » Blog Posts » Spring has sprung! The weather is warming up now and it seems like today has been the warmest this year! 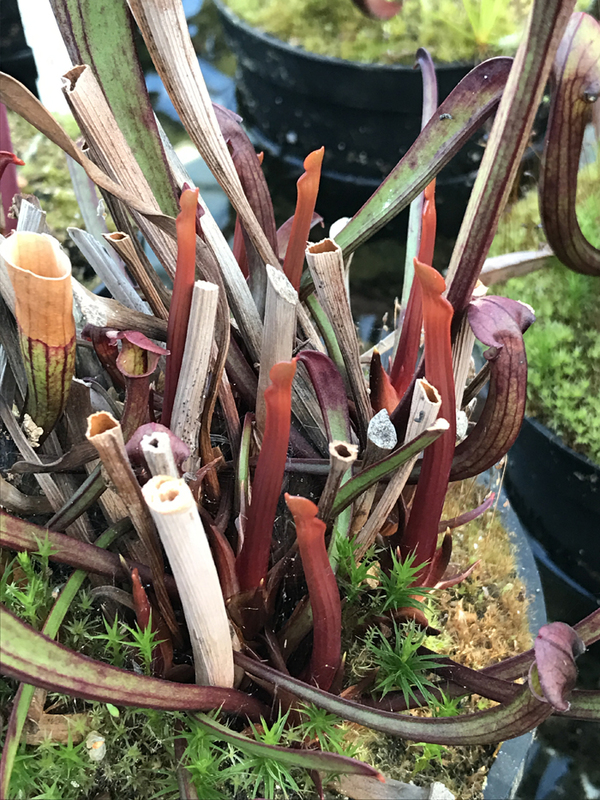 As for the plants, they are really starting to move now, the unheated greenhouse is full of Sarracenia buds I think the first flower will open sometime next week. 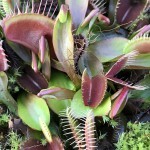 All the temperate plants ie. 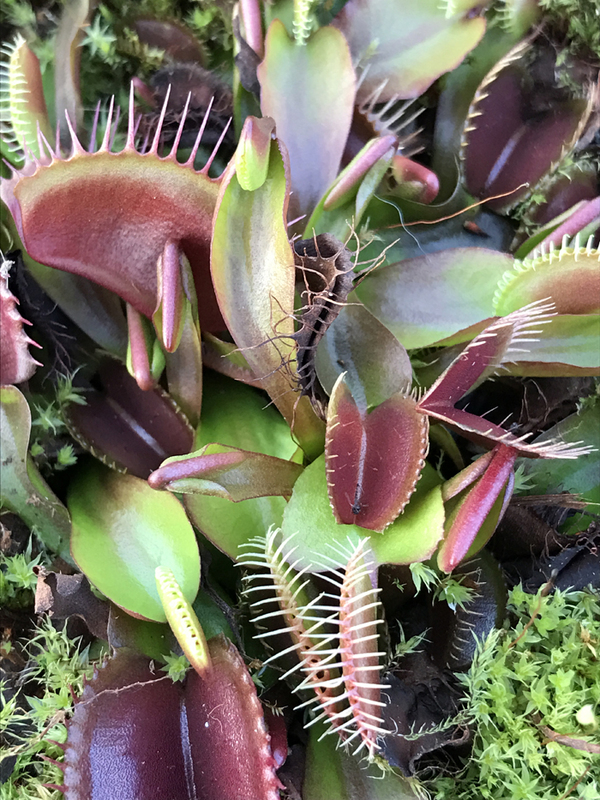 Venus Fly Traps, Sarracenia, Sundews and Cobra Lilies are now standing in around an inch or so of rainwater and we will keep this topped up from now until the end of the growing season (November time). 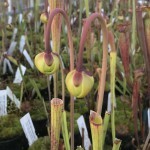 (Left) Sarracenia alata flower buds about to open. 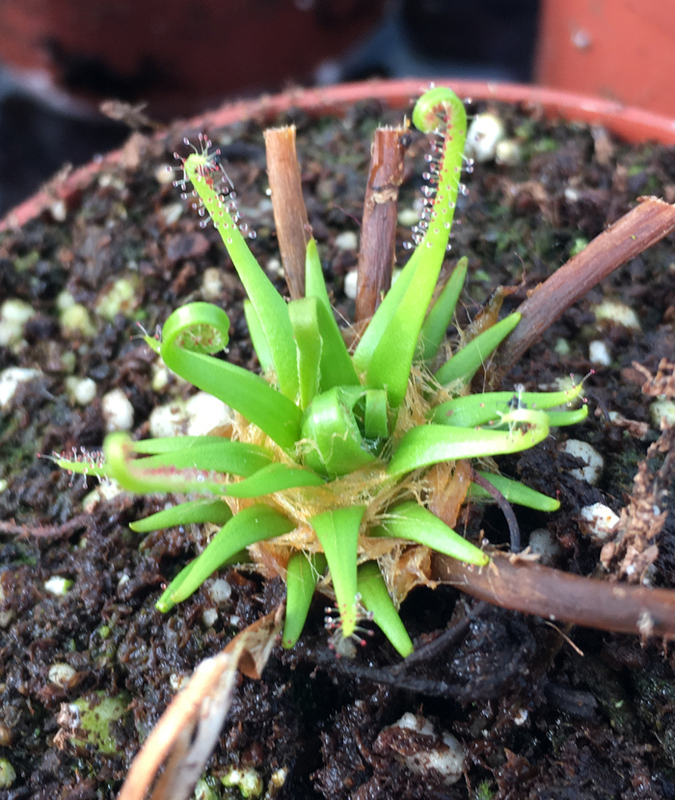 (Middle) Dionaea muscipula Akai ryu putting on new growth. 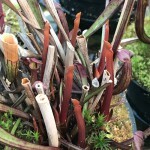 (Right) All of last years traps have been cut back now from the Sarracenia plants, to allow the new growth plenty of light this helps strong healthy growth. 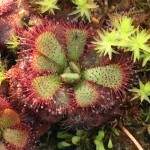 Now is a great time to buy Sundews as they are just starting to come out of Winter dormancy and are at their strongest. 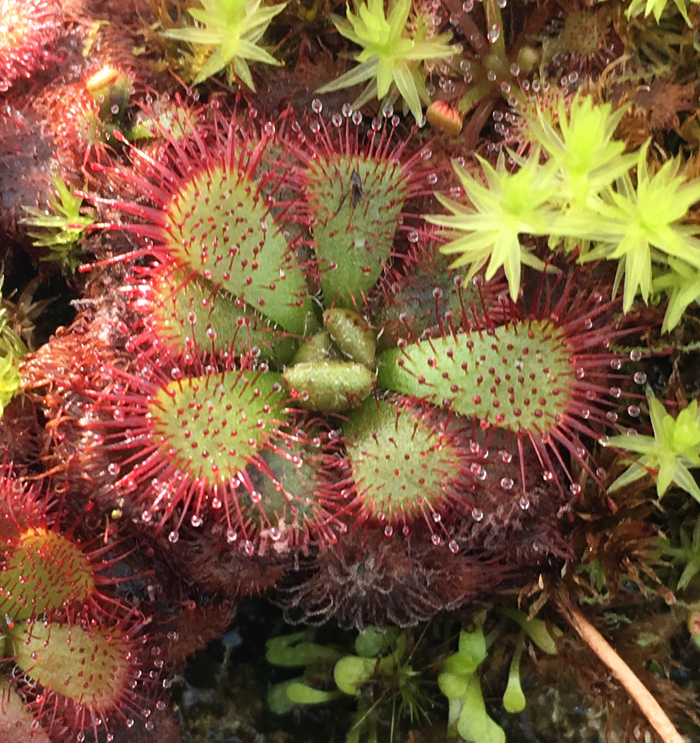 Our Sundews have been unheated over winter and have been down to as low as -2c. 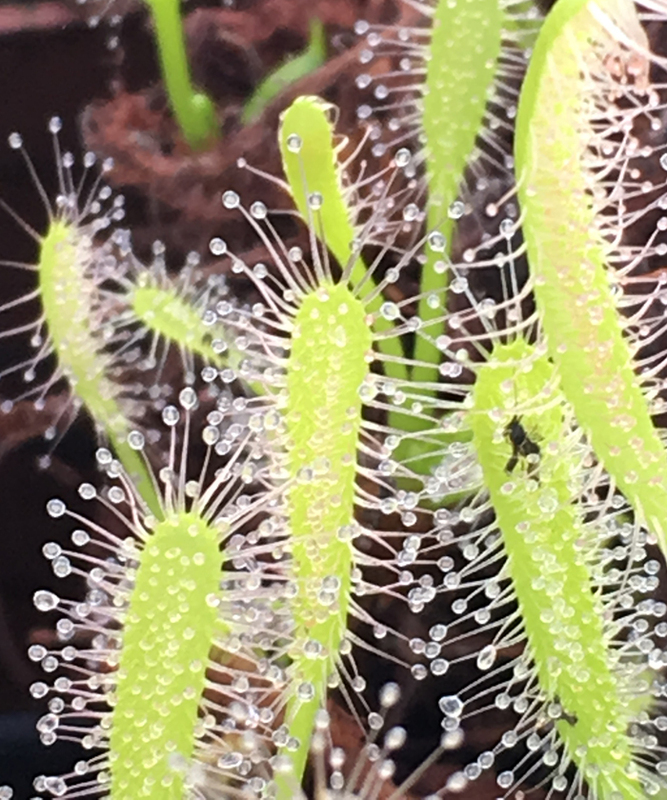 (Left) Drosera admirablis Neat rosette forming sundew, ideal for unheated greenhouse. 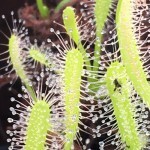 (Middle) Drosera capensis alba This is a really easy to grow sundew, and THE ideal beginners plant. 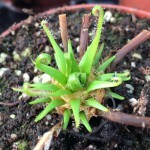 (Right) Drosera filiformis just starting to come out of Winter dormancy.